If you or any of your family members is an allergy sufferer, you’ll definitely appreciate any type of relief provided. The annoyance of an itchy eye, stuffy nose and sneezing can be really embarrassing. This is why keeping your living environment clean is really essential, especially to avoid those allergy flare-ups. Keeping the carpets in your home free from allergens & dust can make it a lot easier to breathe for those who experience asthma and other air induced allergies. As per the American Lung Association, it is documented that controlling asthma and allergies starts at home. Carpets act as a magnet for allergens as they become trapped inside the fibers which in result contaminate the air. Researchers have found that dust & particles don’t stay airborne for long – they promptly fall to a flat surface. When airborne compounds settle on hard or smooth floors, they’re more easily disturbed & allergens can be redistributed all through the air over and over. Many studies have confirmed that appropriate carpet care & cleaning can considerably decrease the volume of allergens. For allergic people, this makes the environment apposite for living and allowing them to breathe easier. 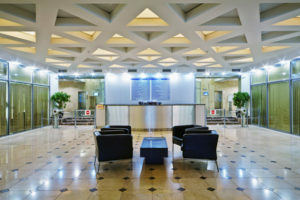 It is usually asked how frequently carpets must be cleaned. Especially, in the case of asthma and allergy sufferers, carpets must be cleaned more frequently. According to the Asthma and Allergy Foundation of American, in the case of asthma & allergy suffers, the carpets must be cleaned by professional around 3 to 4 times a year. Why Is Eco-Friendly Carpet Cleaning The Best For Allergic People? Asthma and allergy sufferers are likely to be very sensitive to some fragrances. When certain chemicals blend with synthetic carpets, the mixture of chemicals can possibly prompt allergic reactions. Luckily, with eco-friendly carpet cleaners, these scents are practically nonexistent hence consequence in no asthma or allergy attacks. 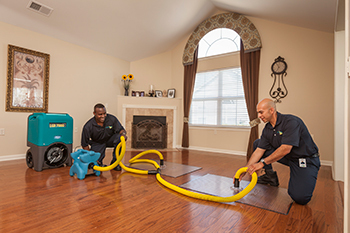 Moreover, organic Glenview carpet cleaning service greatly decreases mold growth possibility – which is excellent for indoor air quality. Are you an allergic or asthma sufferer and looking for an environment-friendly carpet cleaning service? If yes, then look no further than ServiceMaster Cleaning & Restoration Pro. Not just carpet, we also offer high-quality hardwood and upholstery cleaning services in Glenview, IL. If you want your carpet, upholstery and hardwood floor shine like new, then don’t hesitate to call us at 847-724-98. Flooding as a result of a natural or artificial disaster is the biggest nightmare suffered by homeowners. The deadly form of the flood may cause a threat to both life and property. Flood water damage is a big problem and no homeowners wish to deal with the stress of having this in their property. Unfortunately, if you suffer from it, you have to call for experienced flood damage clean up service in Glenview, IL. The qualified, experienced professionals of Service Master Cleaning and Restoration Pro undertake several procedures that restore your home back to normal at the earliest. When a flood strikes, it surely makes you nervous and you may not even think about what to do. If proper action is not taken at right time, it can deteriorate the flood damage situation and cause numerous troubles after few days. Here is why our flood water damage cleanup team in Glenview, IL is the best to take care of your home. 1. When flood water damage intimidates to your home or commercial area, our flood damage cleanup specialists in Glenview, IL are the most appropriate people to provide you with the protected, resourceful and well-organized service possible. Our expert flood water damage teams in Glenview, IL are the first people who will assess the initial safety concerns in your home ensuring a safer way to enter inside. 2. Water damage emergencies in your home can be traumatic for you and your family. In this situation, our expert team makes you sure that we provide the best water damage cleanup to get the job done quickly and efficiently. 3. Quick action to a flood situation will be an ideal decision as the longer you wait it may lead to expensive repairs later. Water can infuse conveniently into your subfloor and damage your home structure. It can only be seen and measured by moisture meters and infrared cameras. Our flood water damage restoration teams in Glenview, IL have specialized equipment and scientific knowledge that facilitate inspecting your home, drying water-damaged areas of your home accurately and quickly. 4. We are fully accredited and we possess all the latest equipment and trucks that help you to handle your job within your budget. Our skilled technicians are trained to effectively remove water and any damage it has caused, with minimum disruption to you or your property. For all your water damage restoration needs, we will try to exceed the standard in all procedures. With the best drying equipment and latest techniques, we will handle your flood damage issue and, save your property from further damage. 5. The real flood damage cleanup work starts after documenting the flood damage affecting areas in details. Have trust in our flood damage cleanup team in Glenview, IL as the professionals are expert enough to fix the hard to reach places during the flood damage restoration process. With the proper evaluation and immediate action, our team will remove excess water, reduce the chances of mildew or mold growth and disinfect the areas for a safe atmosphere as new. Hiring a professional flood damage repair company might be the best option to deal with the water damage cleanup in Glenview, IL. ServiceMaster Cleaning and Restoration Pro is a professional flood damage restoration company specializes to handle any flood situations and work with a mission to restore your home or business to the best way possible. If you suffer from the flood in your home, contact our Flood Damage Cleanup team right away on 847-724-9800 and we will put together the things back on track in no time. Why Professional Flood Damage Cleanup In Glenview, IL Should Be Your First Priority? Is your home or business has suffered from flood damage recently? If yes, then it’s quite obvious that you’re now looking to fix things on your own. Let me tell you the fact, you won’t get the issue sorted out perfectly unless you employ a professional flood damage cleanup service in Glenview, IL. Professional flood damage cleanup is probably the most important decision you could take after a water disaster strikes. Whether the water damage is sourced by a busted pipe, sewage back-up, or a flood, your first priority should be to call a professional team of flood damage cleanup in Glenview, IL. Let’s find out why professional flood damage cleanup is a smart investment for every home or business owners. You certainly can’t extract all the standing water quick enough if are going to do it yourself. You are the only person, and it is unfeasible to accomplish a task that will need at least 5-10 people to be done properly. However, a professional water damage cleanup team will come equipped with all the right tools and manpower to extract water from your home or office inside hours. If the water gets extracted quickly, the time that the areas require to get dry is decreased considerably. Relying upon where the water damage is sourcing from, a significant amount of germs that may come into your house or place of work via the water. It will certainly prompt some negative health effects if the water consists of any injurious microorganisms. Flood water must be dealt with care because of the amount of germs found in the stagnant water. A skilled team of water damage cleanup professional knows how to extract standing water in the most hygienic way. They also have the knowledge to spot potential risks in the water and notify you right away, so that appropriate steps can be taken. Hence Safety is factor take care by the restoration group. When your home or workplace experiences water damage, you mayn’t be able to identify what locations of your property can be retrieved & what areas need replacement. Luckily, professionals in flood water damage restoration can scrutinize your home & fixtures and provide their input on what you can & can’t save following water damage. If your homeowner’s insurance policy covers some kind of flood or water damage protection, expert flood & water damage restoration services can assist you as well. They can write down the losses you have experienced and assist you to get an appropriate compensation from your insurance firm. A restoration company can offer you with evidence of damages & a list of needed repairs in the case that your insurance firm challenges your claim. For professional yet affordable flood damage cleanup in Glenview, IL, you can rely on ServiceMaster Cleaning and Restoration Pro. We are available 24×7 to help you at 847-724-9800. Posted on May 19, 2017 June 22, 2017 Categories Business, Cleaning service, Flood Damage CleanupTags cleaning service, Flood Damage Cleanup, Flood Damage Cleanup Glenview, Flood Damage Cleanup In GlenviewLeave a comment on Why Professional Flood Damage Cleanup In Glenview, IL Should Be Your First Priority? © 2018 ServiceMaster Cleaning and Restoration Pro. All Rights Reserved.